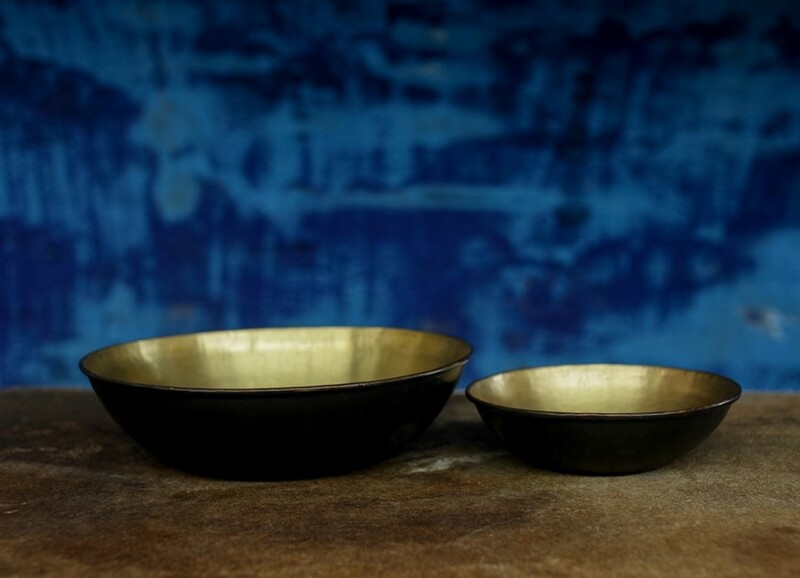 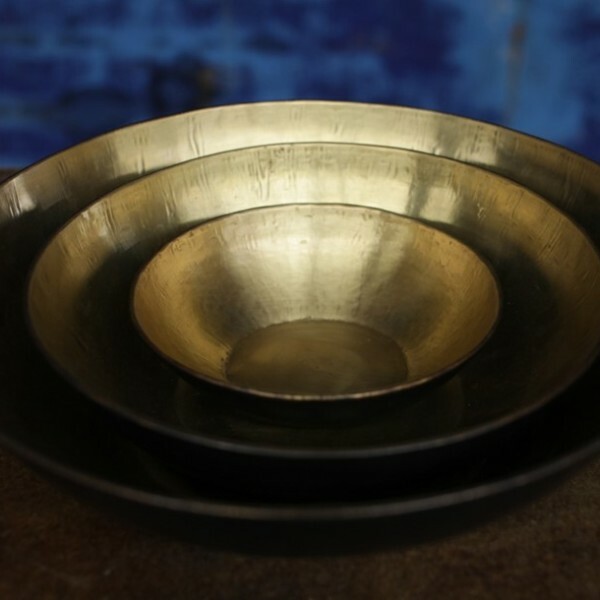 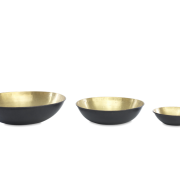 These exquisite Kadova bowls are handmade from solid brass. 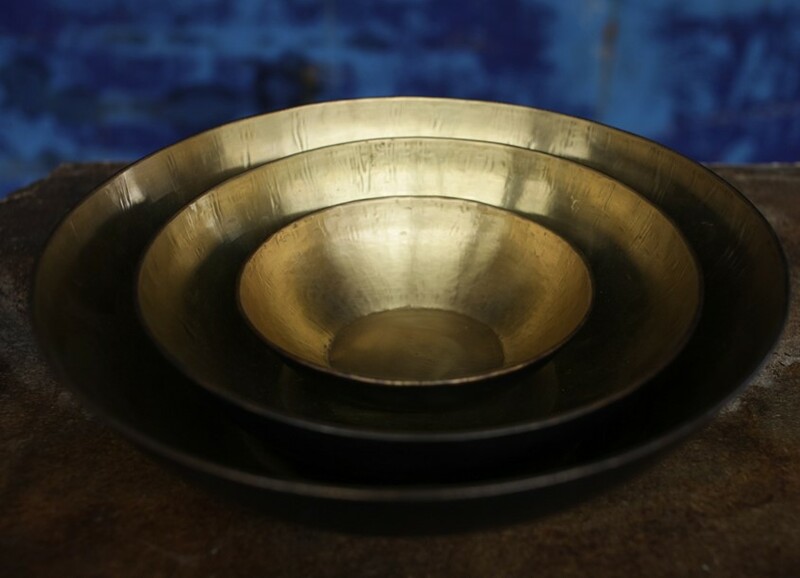 The golden hues of the brass adorn the inside of the bowl, whilst the underside has an intriguing black finish with hammered pattern. 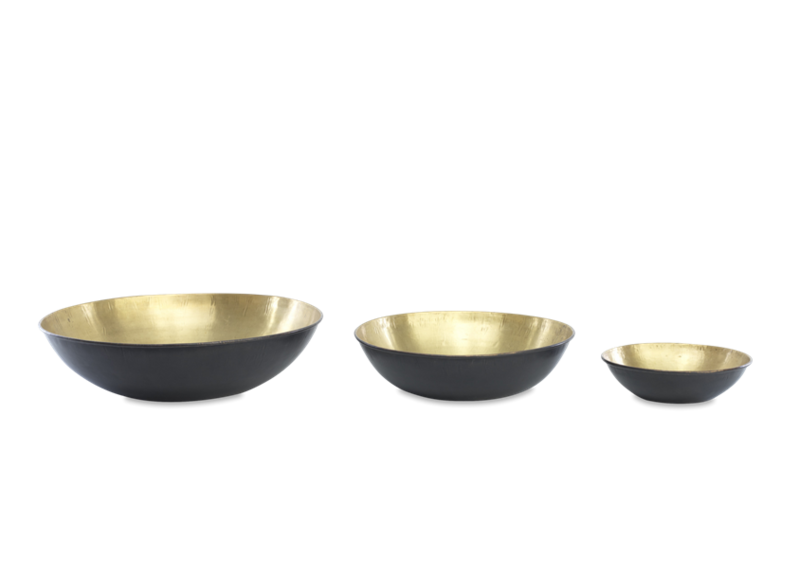 There are three sizes of bowl that nest perfectly together. 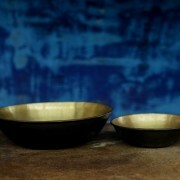 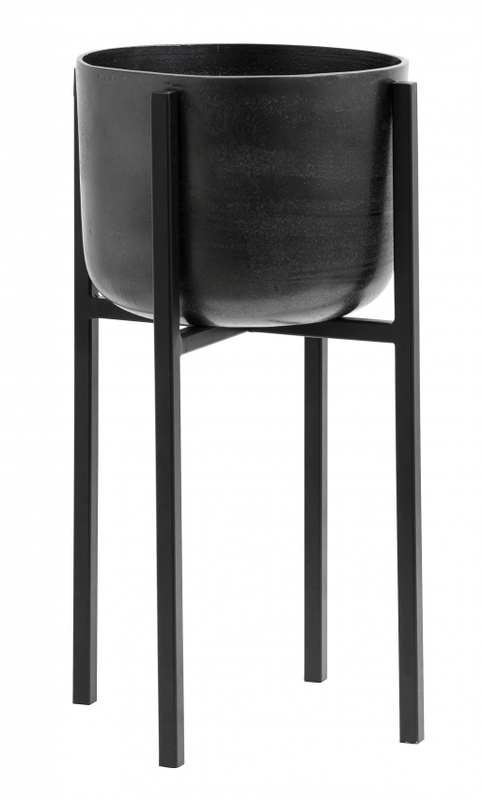 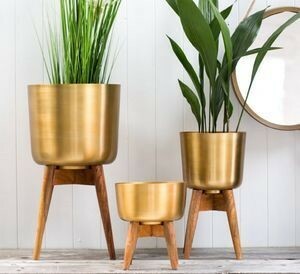 I love the mix of antique brass and black and the elegant shape of each bowl.